Back in the ’80s, my Uncle Brad requested that everyone keep his birthday simple and give him a pair of socks. My dad played this up and had my seven year old sister, Erin, start thinking of ideas for memorable socks. My dad was going to be away from the family for a few months due to work and planned a special day with Erin before he left. They would be heading to Sock World, a marvelous invention of my dad’s imagination, to locate the perfect pair of socks for Uncle Brad. Over the days leading up to the trip to Sock World, my sister took her responsibility very seriously. 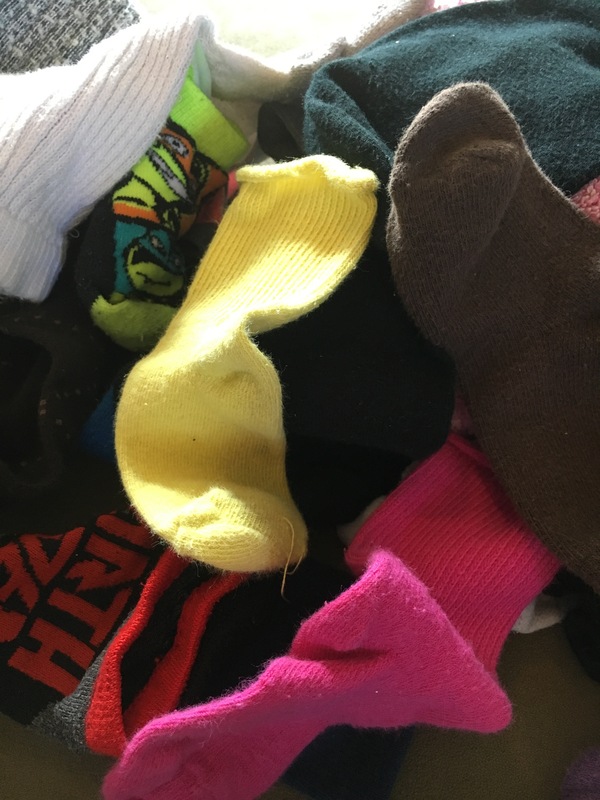 On the day of, the conversation during the 45 minute car ride centered around Sock World and what kind of socks she hoped to find. She wasn’t distracted by the incredibly large parking lot my dad pulled in to, the trolley ride to a ticket booth, or the lines of people waiting to get in to Sock World. In fact, it took my dad encouraging her to count the flags waving in the breeze for her to realize they were, in fact, at Six Flags Over Georgia and Sock World was just a fabrication. Sock World has always been a beloved family joke. In keeping with the tradition, the Rogers Family will be taking our very first family vacation to Sock World in just 10 short days. Noah and Annabelle have been informed that they must wear crazy socks to be allowed entry to Sock World. To say my sweet children with their adorably low expectations are excited about a trip to this magical place would be the understatement of the century. We have purposefully shared very few details about Sock World and let their imaginations run wild. All they know is that we will be gone for four days, staying in the Sock World hotel, and that crazy socks are a must. 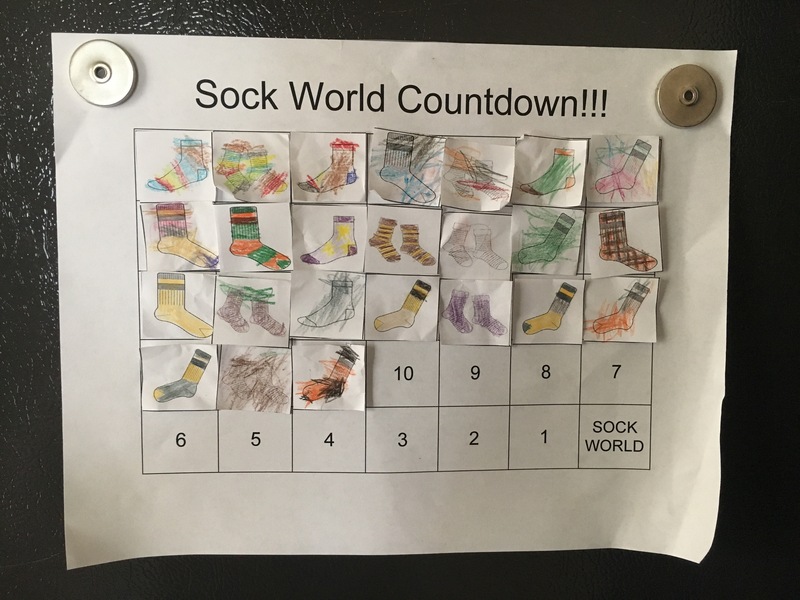 Our version of Sock World won’t have six flags waving over the entrance, though, so stay tuned as the journey unfolds to see where the Rogers Family is headed. ← It’s the first day of April! Congratulations!